Corfu Greece Towns And Villages. There are several towns, villages and resorts on the island of Corfu, the most notable being the capital: Corfu Town. 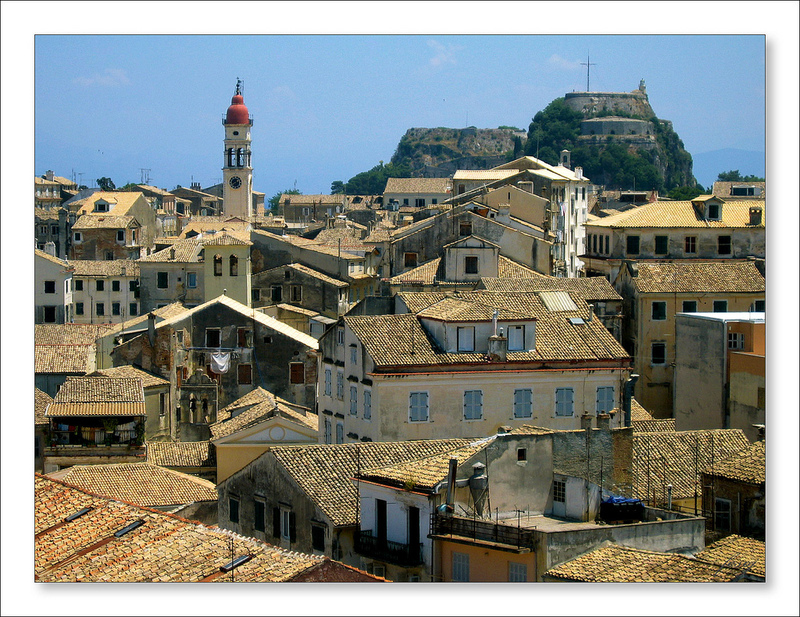 Corfu Town (or Kerkyra as is is often referred to) is the Capital and is an UNESCO world heritage site. It is situated on the eastern side of the island, roughly half way between north and south. It is the largest town on the island with a permanent population of roughly 30,000. Here you will find the main shopping centre, the main port as well as the island's airport. The town itself is a mixture of Venetian and French architecture and is a maze of narrow streets. The 16th-century fortress dominates the town and port area. The main square at The Liston was built by the French in the style of Rue de Rivoli in Paris. In the centre of the square is the cricket pitch evidence of British influence on Corfu. Many narrow streets radiate from The Liston and the area is famous for the variety of small shops particularly the jewelry shops selling locally made items in Gold. Just off The Liston is the Church of Saint Spiridon, where the mummified remains of the islands patron saint are kept. This impressive Church is the most famous and visited church on Corfu. Corfu Town has all of the island's major facilities, such as the central post office, the hospital and the island's major police station. Corfu town is also home to the Ionian University and consequently, the town has a youthful exuberance about it. There is a wealth of accommodation and tourist facilities in Corfu Town, with hotels, apartments, villas and rooms to rent all available. There is an abundance of cafes, tavernas and restaurants from which to choose. Situated 30 miles south of Corfu Town (Kerkyra) and with more than 80 bars and at least four clubs, Kavos is the place in Corfu to let your hair down. Consequently, it attracts a youthful and exuberant crowd! This is not the resort for a peaceful holiday. Kavos beach, just a short stroll from the resort, offers more than a mile of watersports, bars and open-air parties. If the wild atmosphere on Kavos beach is too much to cope with on the morning after the night before, wander down to the quieter Aspro Kavos, where you can nurse your headache in peace. Set on the north coast of Corfu, Roda is a popular resort for families and couples. It boasts a four-kilometre long beach of sand and shingle as well as an abundance of bars, restaurants and tavernas. It is roughly a 1-hour 30-minute journey from Corfu airport. Roda beach stretches from the neighbouring resort of Acharavi along the north coast to Cape Roda and provides a wide selection of watersports available to hire, whilst the gently shelving warm and clear waters are excellent for swimming. The surrounding countryside is relatively flat making it easy to explore both on foot or by bicycle. There are many scenic hamlets and small villages that can be explored nearby that can be found by strolling along the country lanes and footpaths. The village of Corfu Gouvia has about 600 inhabitants and was built on the site of an ancient Venetian harbour; today, Gouvia is the main marina of Corfu and welcomes many luxurious and impressive yachts from all over Europe and the rest of the World. Located on the east coast of the island in a tightly curving natural bay, Gouvia is 5 miles northwest of Corfu Town (Kerkyra) and the airport. Even though it is close to the capital of the island, Gouvia is a secluded and independent village. Here you will find some excellent restaurants, bars, cafes and tavernas as well as a lively nightlife scene. There are several beaches nearby. These are mostly quiet and are comprised of sand and pebbles. Sidari, located on Corfu's northern coast, is approximately a 1 hour jouney from Corfu Town and the airport. It is a large resort that can accommodate over 17,000 visitors. The beach has a broad sweep of golden sand where the shallow water quickly warms beneath the warm Mediterranean sun. A yearly award of a Blue Flag is given to the main beach, whilst beyond, to the west, the coast offers several little coves with their natural swimming pools to be explored. The main street through Sidari is lined with shops offering all manner of goods as well as the ever popular tavernas, restaurants and music bars. After dark, Sidari's three discos prove to be popular with those wanting to dance the night away. There are daily boat trips that offer excursions to nearby resorts and south along the east coast to Corfu Town. Hire a boat to explore the coastline. A one and a half hour journey from Corfu Town and the airport lies the resort of Arillas. It is a sleepy, quiet little resort on the north-west coast that overlooks a large and sandy cove. The road to Arillas meanders through many tranquil hillside villages, before descending through pines and olive groves to the sea. Arillas has many sophisticated bars, restaurants and tavernas that cater for the lucky holidaymakers who have discovered this dreamy village. A disco has opened in recent times, though it has had little impact on the quiet nature of Arillas. There are plenty of footpaths and trails to explore in the hills and woodland behind the village and along the cliff tops. From here, you will be able to enjoy beautiful vistas over the coastline and surrounding area. Located on the west coast of the island, roughly 15 kilometers from Corfu Town, is Agios Gordios. It is set high up on a cliff from where it enjoys a dramatic view of the bay. Behind the village is a majestic range of hills that are covered in tall, pencil-like pine trees. The sand and pebble beach provides bathers with the opportunity to swim in the crystal-clear and warm waters. Agios Gordios clings on to the traditional industries, such as fishing and farming, and as such the place has a rustic charm. There is a small selection of seaside tavernas that provide the perfect place to soak up the ambience of this delightful village and watch the sun set over the Ionian Sea. Kassiopi, set on the north-east corner of the island of Corfu, is a village that is 35 kilometers north of Corfu Town (Kerkyra). This village is a perennial favourite with holidaymakers and is set against the magestic backdrop of the island's highest mountain; Mount Pantokrator. Over the years, Kassiopi has developed into a bustling holiday resort, although it still retains much of its original charm. Centred around the local harbour, Kassiopi has plenty of bars, tavernas and restaurants that offer a variety of European and traditional fare. Thanks to the local fishermen, many of the restaurants offer excellent fresh fish dishes. Kassiopi is popular with young holiday makers, teenagers and groups, though it has not developed the excesses and decadence of some of the more riotous party resorts that can be found in Greece. From Kassiopi, you can hire a boat and discover the many coves around the peninsula or take a day trip to one of the neighbouring Ionian Islands, such as Paxos. Paleokastritsa is one of the most beautiful villages in Corfu and is a renowned Greek beauty spot and is located 25 kilometres north-west of the island's capital, Corfu Town. Over the years this resorts has grown to become one of the largest on the island and consequently can become busy, especially during the peak holiday season. Paleokastritsa offers holiday makers the opportunity to swim at six different secluded sand and fine pebble beaches enclosed by tall cliffs, wooded headlands, olive groves, lemon and cypress trees and lush hilly countryside. The resort runs along the coast road that winds among the cliffs and sheltered bays. It is a hilly place full of twists and turns and unexpected views. This resort has plenty of restaurants, tavernas and bars to choose from, many of which are located on the sea front. Don't forget to pay a visit to the charming Theotokos monastery or the 13th century Venetian Castrizza San Angelo. The hills beyond, offer excellent trails and footpaths to explore. Set 16 kilometres west of Corfu Town, Glyfada offers possibly the best sandy beach on the island; it is sheltered by steep cliffs at either end, whilst the warm, clear and shallow waters are ideal for watersports enthusiasts. There are several tavernas in this small, peaceful resort that line the beachfront, whilst the resort itself has a handful of bars and restaurants that serve traditional local dishes as well as fare that is more familiar to a northern European or international visitor. The resort can get very busy, especially during the peak holiday months of July and August when it is particularly popular with Itialian tourists. There are several hotels, villas to rent and a few apartments, even so, it is essential to book prior to your visit if you intend to visit during the peak period. Dassia is located on the east coast of Corfu, just 14km from Corfu Town (Kerkyra). It sits directly opposite Albania and the Greek mainland. From here, on a clear day, the views across the Ionian sea are a sight to behold. Set on one of the most picturesque stretches of the Corfu's coastline, it is in an area of little bays that are set against hills carpeted in pine and olive trees. It is just a short trip from Corfu Town and the airport. Dassia boasts great shopping, tavernas, bars and restaurants. Water sports enthusiasts are well catered for, but for those who simply wish to relax there is a long stretch of shingle beach that is ideal for chilling out and perfecting the suntan. There is a good range of night life activities here, though for some serious partying Ipsos is nearby and is serviced by a regular bus. Set on the north coast of Corfu, Acharavi is located on a long sand and shingle beach which stretches between Kassiopi and Roda. The island's largest mountain, Mount Pantokrator, is less than an hour's walk away and the views are spectacular. Acharavi is a busy and lively family resort that offers something for visitors of all ages. It is not only a holiday resort, it is the main town in the north of the island and consequently many of the local people visit Acharavi on a regular basis. Here you will find a post office, banks, a dentist and doctors and all the facilities that you would expect to find in a modern town. There are plenty of shops to explore such as fashion boutiques, hardware stores and flower shops as well as the more tourist-oriented outlets. The shops in the main town are located either side of the main road which runs through Acharavi. Little streets run off this road down to the beach, where you will find many of the beach Tavernas and bars. Set in the hills behind the resort you will find excellent walking paths. These have recently been cleared and form part of the Corfu trail. Moraitika is a small purpose built resort residing along a sand a shingle beach that is located just 19 kilometres south of the capital Corfu Town and the airport on the east coast. The resort is well suited to families and couples. With barely 600 permanent residents, the village is never too crowded, even in peak season. Consequently, it is usually fairy easy to find accommodation here. Moraitika boasts a wealth of tavernas that offer both traditional Greek and British fare. Whilst Moraitika has its own beautiful beach, many holiday makers choose to visit the neighbouring beach of Aghios Ioannis. Ipsos is a resort set behind a 2km long sandy and shingle beach towards the north of the Island. It was originally a small fishing village, though over the years it has developed a reputation as something of a party resort. However, with careful development, it has become one of the most modern and ecological Corfu holiday towns of its kind. Ipsos tends to attract young tourists and holiday makers people due to its reputaion. Groups of friends and teenagers enjoy it here, though more families, particularly those with teenage children, are becoming the norm. With Mount Pandokrator as its backdrop and an attractive harbour in the south, Ipsos enjoys a picturesque setting. During the day people congregate on the narrow strip of pebble/shingle beach which is part of what is known as the Golden Mile. Watersports are available here. By night there is a good choice of seafront tavernas and bars and discos along the strip. 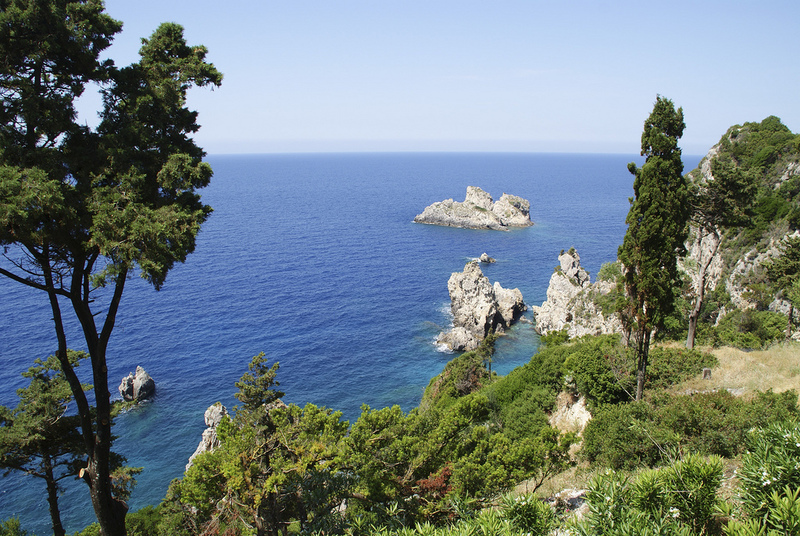 Nissaki, set on the north-east coast of Corfu, is just 22 kilometers from the capital; Corfu Town. There are excellent vistas to be enjoyed and photographed at this small, quiet resort. For example, views of neighbouring Albania can be seen just across the sea. Surrounded by pine and olive groves, Nissaki is situated in the foothills of Mount Pantokrator, Corfu's highest mountain. There are many small coves in the region, making this an ideal place to try your hand at scuba-diving. There is also a water sports jetty and for those wanting to explore the coastline, boats available for hire. Unlike several of the busier neighbouring villages, Nissaki has a small number of taverns, shops and quite a modest nightlife. This affords the village a romantic and intimate feel due to its secluded location and great beauty. Day trips are available to Ipsos, Kassiopi, Barbati and Kaminaki and are popular with visitors. Or for a complete contrast you could choose to visit some of the traditional Corfu villages in the nearby hills. Set in the south-west of Corfu, approximately 45 minutes journey from Corfu Town, Agios Georgios is blessed with one of the best beaches on the island. To the north of the resort are sand dunes and a saltwater lagoon called Lake Korrision. This is a popular destination for wildlife lovers. St George is a very laid back and easy going resort and is suitable for couples and families that are looking to get away from it all. However, those looking for an active night life may prefer to search elsewhere as there is little to do in the evening other than enjoy a relaxing evening in of of the local eateries. There are plenty of beach side tavernas for you to enjoy, serving everything from basic sandwiches and snacks to grand four course meals. St George South makes for an ideal resort for those who enjoy walking. A superb view of both the east and west coast is a reward for those who choose to stroll to though the olive groves to the traditional Greek village of Agirades. Just 15 kilometres from Corfu Town, in the centre of the island, lies the small resort of Agios Ioannis. This small village is still fairly undeveloped. It offers visitors access to beaches on both the east and west coasts, making it an ideal choice for families and young couples seeking a relaxing holiday. There are a couple of tavernas and mini-markets in the village itself, though, for a wider selection of bars, restaurants and nightlife, Corfu Town is a short journey away. Car hire is recommended for staying at this resort. Kalami is located beneath the hills of north-east Corfu, just 30 km from Corfu Town. It is a popular destination for couples and families alike. The village of Kalami sits around a sheltered bay of eucalyptus and cypress trees. The beach of white pebbles has sun loungers and parasols available for those who want to laze the day away whilst soaking up the Mediterranean sun. The more adventurous can hire a boat to escape to one of the secluded coves or bays that can be found along this beautiful coastline. There are a few tavernas and mini markets around the village, with a self-contained complex high on the hillside, offering evening entertainment. With its peaceful atmosphere, Kalami retains its peaceful village atmosphere. Located on Corfu's idyllic east coast, the peaceful little beach resort of Perama is just 10 minutes from Corfu Town. It is the perfect location in which to unwind and absorb the Greek way of life. Perama is a popular place for those who enjoy walking or meandering along the coastline. There a few bars and tavernas available, however, there is little else to do. As such, Perama is a perfect place for those who are looking for peace and quiet. 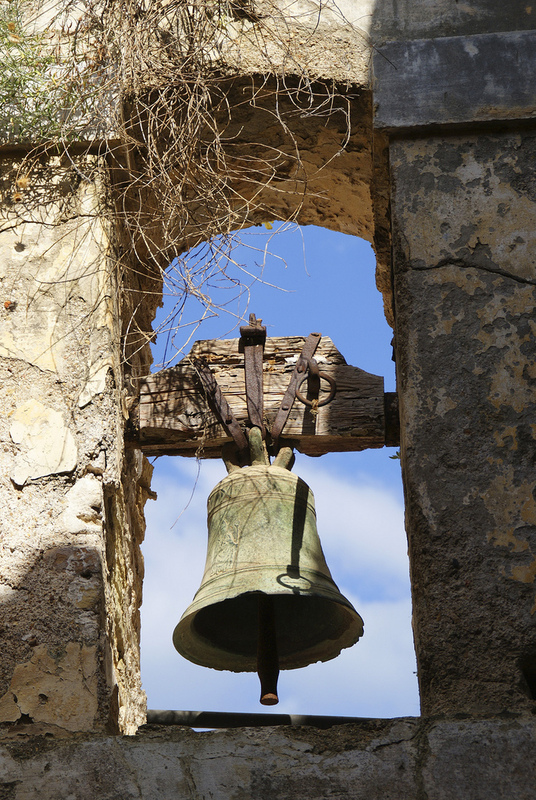 Just 12 kilometres from Corfu Town and the airport, St Johns is a small and quiet village. It has a small selection of tavernas overlooking the beach, some souvenir shops and very low-key night time entertainment. As such it is more of a chilled out beach hideaway than a resort. Neighbouring Perama (see above) is where Gerald Durrell first discovered Corfu's aquatic wildlife. Intimate, quiet and peaceful, it is perfect for independent adventurers who like to go out on their own in search of a secluded hidden cove, an untouched corner of natural beauty, or a friendly local taverna. Agios Stefanos (or Saint Stefanos) is a small fishing village set on the north east coast of Corfu. It has become a very popular resort for up-market holiday makers and has many luxury villas available for rent. The thriving local Greek community offers a warm welcome to visitors. Nestling in the shelter of hills that sweep down either side, this village is very picturesque. Due to its remote location, a hire car is essential for exploring the region. 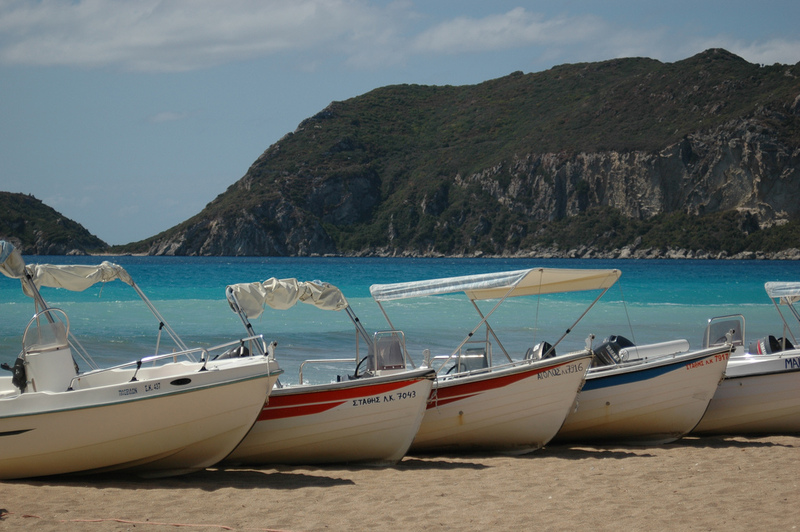 Boats can be hired locally for you to discover the coves and bays along the coastline. In the evenings, you can dine in one of the several restaurants and tavernas that overlook the sea and across to Albania. Situated 39 kilometres from the island's capital, Corfu Town, on the north-west coast, Peroulades is a pretty village that has just 900 permanent residents. It is one of the few unspoilt Greek villages left in Corfu. Surrounded by open countryside Peroulades is a quiet and relaxed resort with just a handful of local tavernas and a stunning stretch of sandy beach. The lively resort of Sidari is just 3km away. The rustic charm of rural Corfu. Enjoying views across the sea to the striking Albanian hills, St Spyridon is located on the north east of Corfu and is set between two picturesque bays. Until recently, this was a very quiet location, however there is now a 800 bed hotel overlooking the bay. As such, St Spyridon has a family holiday resort feel about it. Out of the peak season, it is back to the dreamy, quiet environment of days gone by. With a small selection of local tavernas and boasting two beautiful beaches, this village resort is ideal for families and couples that are seeking a tranquil getaway-from-it-all time in the sun. Alykes lies 3km north of the island's capital, Corfu Town, and just 2 kilometres from the main area of bars, restaurants and discos. It is set in a beautiful area of the island, with stunning mountain views. Its coarse sandy beach slopes gently into crystal clear waters, making this an ideal spot for families. Alykes makes for an ideal base for short excursions: you may visit the nearby village of Potamos, just 2 kilometers to the South, or continue on to enjoy all that Corfu Town has to offer. Set on the west coast of Corfu and nestled in a small cove between steep and imposing hills lies the small resort of Ermones. It has a sand and shingle beach overlooking which is a small selection of tavernas. These serve good quality fresh seafood and local delicacies. Ermones is popular with several large tour operators from Germany and there is a selection of big hotels in the area. Families and couples looking for a relaxing holiday will surely enjoy the easy going pace of life in this traditional Greek village.